There is something quite romantic and enchanting about escaping to a truly luxurious and quintessentially British property packed with history, character and charm. 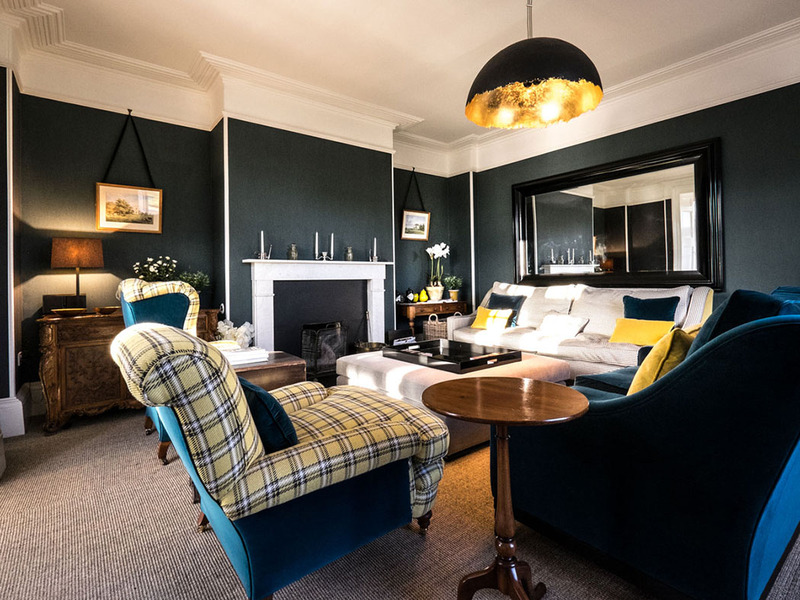 A stay in one of these private homes or country retreats feels like a step back in time to something out of a Jane Austen novel where you almost half expect to bump into the likes of the Bennet’s and Mr Darcy. Hidden little gems like this are dotted around the country but not all of them live up to the truly luxurious standards they promote. A beautiful collection of homes that really do are the Quintessential Bed and Breakfast properties. 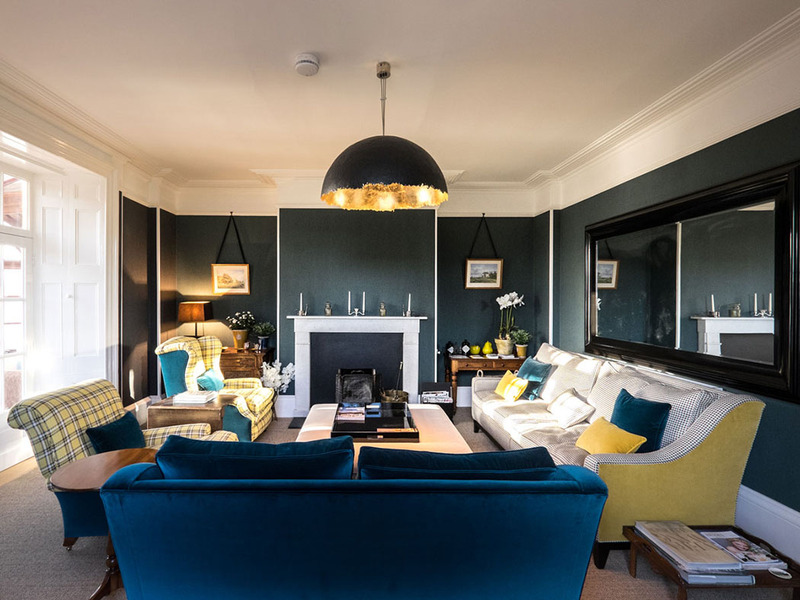 These properties are packed full of rich histories, original features, stunning modern yet thoughtful interiors, four-poster beds, indulgent claw-foot baths, magnificent gardens and countyside views to take your breath away. Quintessential Bed and Breakfast has scoured the country and handpicked the very best in truly luxurious private homes and boutique retreats with gracious and welcoming hosts. Perfectly combining the ultimate in luxury and comfort, these beautiful homes in spectacular settings offer the perfect weekend escapes or retreats away from frenetic city life. 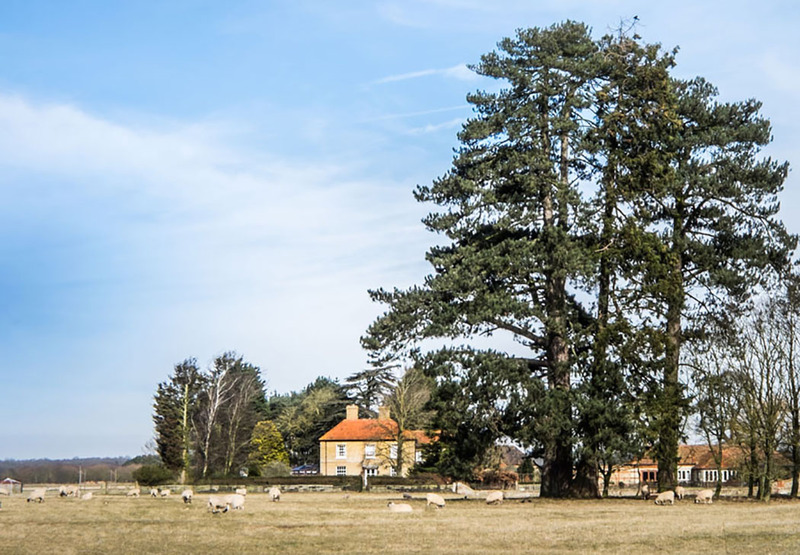 A prime example of one of these special properties is Godwick Hall, situated in the heart of the Norfolk countryside, between Swaffham and Fakenham. Lovingly restored and is now run by James Garner, this beautifully proportioned Georgian-style home overlooks a lost medieval village – already intrigued?… I thought you might be. The mysterious medieval village along with the ruins of its church (listed in the Domesday Book of 1086) was deserted in the 17th century and is now privately owned but open to the public throughout the year. 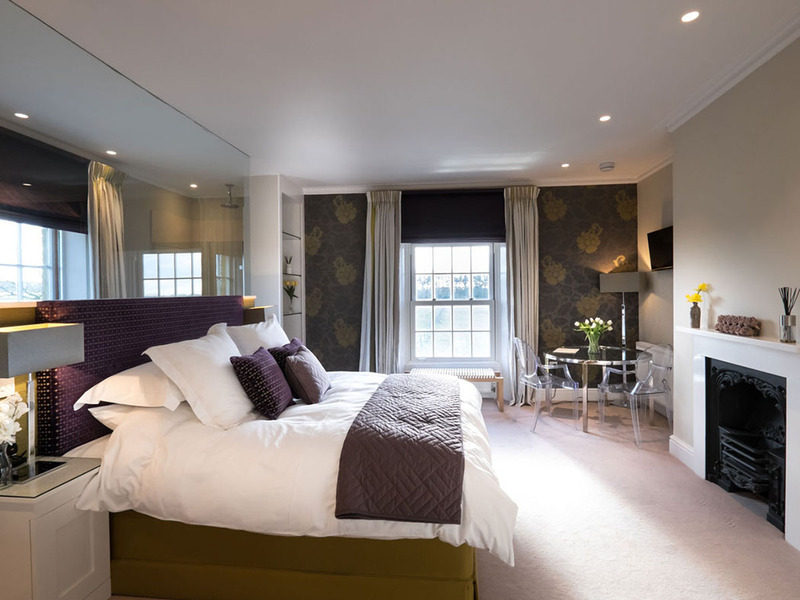 This very luxurious, boutique B&B offers the ultimate in fabulously stylish and comfortable en-suite guest rooms. 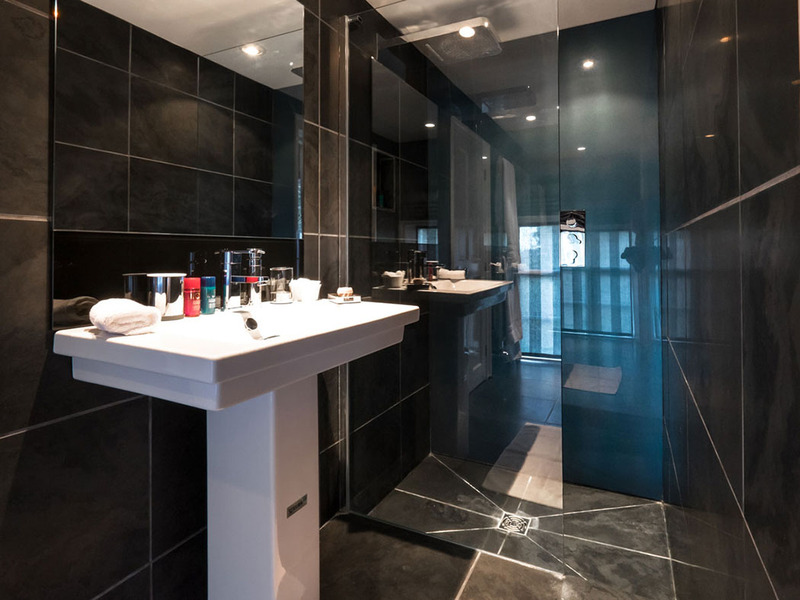 There are four rooms and suites to choose from with wonderfully comfortable Hypnos beds; luxury duvets, pillows and bed linen; free-standing baths by Ashton & Bentley; drench and soak showers; Philippe Starck Ghost Chairs; Smart TV’s and Nespresso coffee machines. 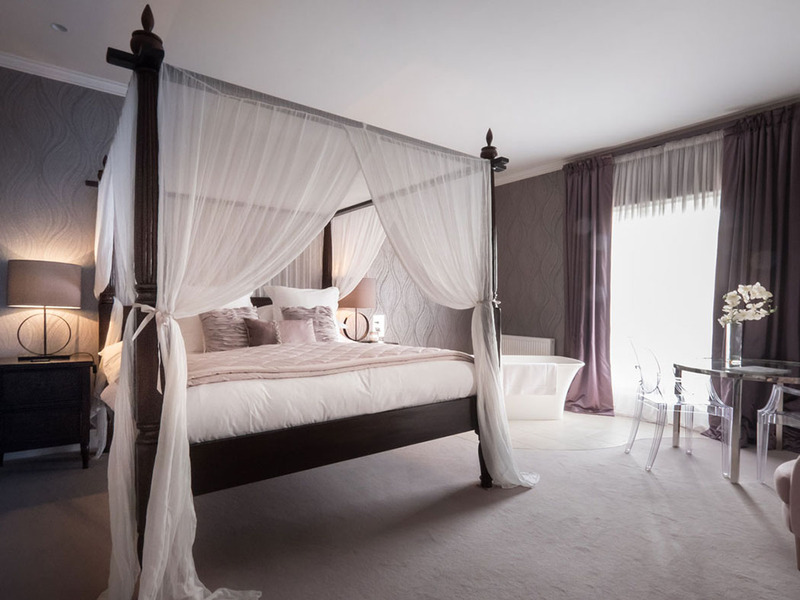 The Sara Garner Suite has the real wow factor with a seriously stunning four-poster (super king size!) bed, a beautiful bath (that can be controlled from the bed no less!) as well as a plunge shower and stunning views out through the Georgian sash windows to Godwick. The light and airy contemporary Coke Suite with a beautiful original fireplace features a sumptuous super king size bed and a unique glass partition between the bedroom and en-suite with freestanding bath. The dual aspect Womack Branford Room with upholstered partition hiding a study area enjoys views of a grand old Cedar tree to the north of the house as well as sun sets over Godwick moor. Finally the bijou William Hoste Room features dramatic colours and peacock wallpaper along with the luxury slate en-suite with huge plunge shower with aquamarine glass back. Room Tip: If you’re looking for something really special the Sara Garner Suite won’t leave you disappointed! When you arrive at Godwick Hall you will be met with tea and homemade cake (or a glass of wine – more to my liking!) in the beautiful large living room, which in the winter months enjoys the warmth of a roaring log fire. 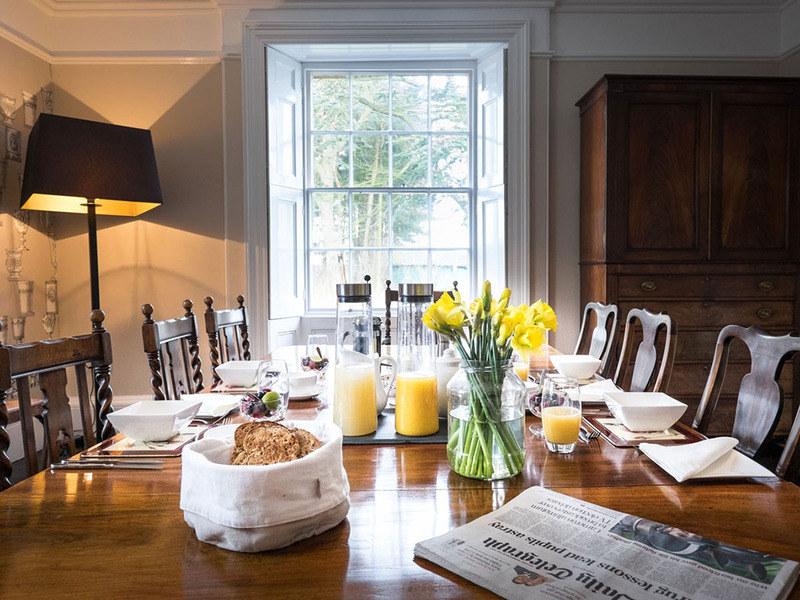 As part of your stay you will enjoy a delicious breakfast served in the elegant Godwick Hall dining room, where you can feast on a full English or a lighter continental breakfast with croissants, toast, freshly squeezed juice, porridge, cereals and yoghurts all washed down with freshly made tea and coffee. Dinner is also available for a minimum of four people at Godwick Hall or alternatively there are a host of excellent pubs and restaurants in the area that the team will be more than happy to recommend. Dining Tip: try the Dabbling Duck at Massingham – delicious! There is so much fascinating history to soak up in this part of England including a wide array of villages, churches, houses and gardens (many of which are National Trust) to explore. As part of your stay you must visit the lost medieval village of Godwick itself and its sister parish, Tittleshall which dates back to Saxon times. Places of note are: Walsingham Abbey, famous for the spectacular ruins of a medieval priory and Binham Priory, one of the most complete and impressive monastic ruins in Norfolk. If you want to enjoy the fresh sea air you can walk for miles on North Norfolk’s unspoilt beaches and if you have time you should visit Cromer with its vast beaches, traditional pier complete with a theatre and numerous local independent shops – don’t forget to try the crab! 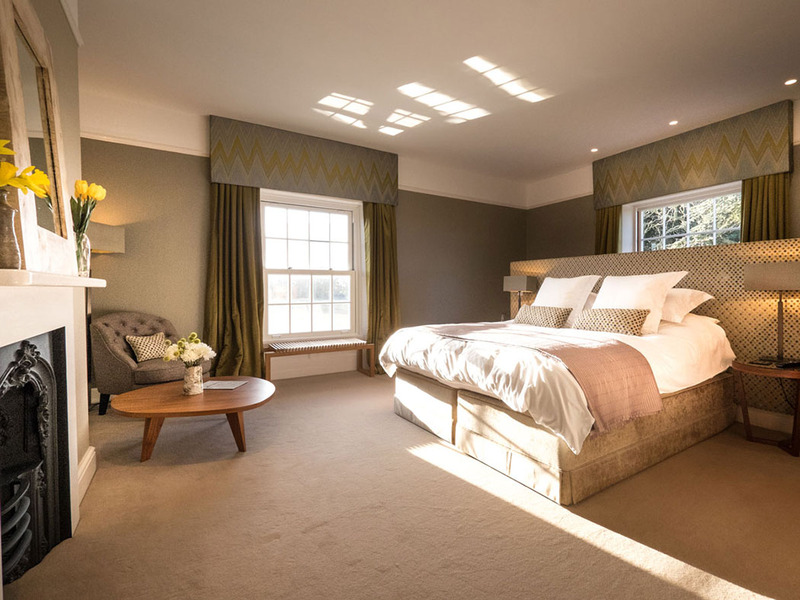 So if you’re looking for the very ‘best of British’ luxury boutique hotel-style accommodation with stunningly decorated rooms, excellent service and plenty of historic places to explore, Godwick Hall is the country manor for you.